How do airlines calculate what to charge for a Brompton in a bag as checked luggage? I’m flying on Iberia and from their website it looks like they will charge me US$75 to take it from BOS to BCN, but the text is not completely clear. I wrote to them asking, providing weight and measurement, but they did not respond. Do they charge based on the weight and size of the bag — as with other types of luggage? Or is the fee based on my declaring it to be a “bicycle” regardless of whether it might be small and light enough to be regular luggage? I will have it in a Radical Design Chubby, which is slightly bigger than the B-bag. NOTE: This is about costs, NOT about protecting the bike. This question does not appear to be about bicycles within the scope defined in the help center. This is a hard question to answer. Not only does each airline have its own rules as to handle bicycles or what they consider oversized luggage — the airline counter staff at check-in have “discretion” which usually boils down to a degree of capriciousness. The checkin counter staff may or may not follow their own airline’s posted guidelines in terms of overweight, size, contents, or how much they charge. Usually this discretion is in your favor (ie they will waive the charge or lower it) but not always, especially if you come in with an attitude. In other words, there’s no consistency in what you’ll be charged unless you are obviously under weight, under size, and have non-surchargable contents. 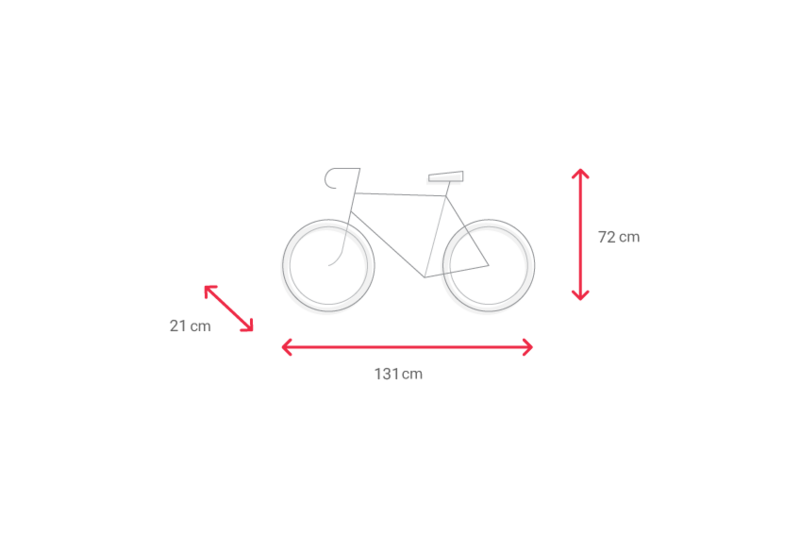 That all being said, it’s still helpful to know the rules ahead of checking in so you know how much they charge for overweight and oversized luggage, versus how much they charge for a bicycle. A bare brompton in a light bag (like the b-bag) will usually be underweight and just under the nominal size. Many hard cases will push it to oversize and some will push it overweight. Approach counter and attempt to check in bicycle without any specific declaration. If the checkin clerk allows it without comment or extra charge, success! If clerk attempts to assess oversize fee and it’s in excess of the bicycle fee, then state it’s a bicycle and get the lower bicycle fee. If clerk asks what’s inside, ask first how much the oversize / weight fee is. 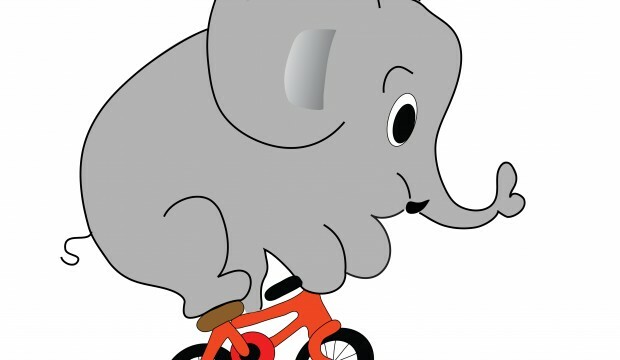 If it is less than the bicycle fee, then declare the bike as “circus equipment” or “spare parts for a mobility device” (many places calling it “sports equipment” carries a special fee too) and pay the lower fee. Note that I’ve found the brompton in a bag is very close to the 64 linear inches and with case can be close to the overweight limit. In those cases, it’s helpful to remove the saddle and pedals and put them in your other luggage. This will reduce both the weight and the overall dimensions as well as making it harder to break. You also want to remove all of the hinge locking bolts as those tend to snap. Please remember that safety considerations determine the ability for the aircraft hold to carry items of special baggage. Therefore, in some cases it may not be possible to check in these items. Space reservation: In order for special baggage to be carried on the flight, it must be accepted beforehand and a space reserved at least 24 hours prior to check-in. Checking-in at the airport: The passenger must arrive at the airport with sufficient time for their luggage to be checked in, transported to the plane and loaded in the hold. Loading of equipment: Due to their size or shape, special baggage normally cannot be transported on airport conveyor belts. The use of an alternate system to make transporting such items from the check-in area to the aircraft easier is at the discretion of company staff. The passenger will bear any costs that may arise from transporting the equipment. Luggage that must be checked-in: A charge of 45 euros* will be applied, irrespective of luggage allowance, to sporting goods and musical equipment.Payment for these items must be made at the check-in desk. *Except firearms and at London Heathrow Airport) **Different taxes, charges and fees may apply, in accordance with the relevant legislation in each country. Exception: For Iberia Singular, Iberia Plus Infinite, Platinum, Gold and Silver cardholders, these items shall always be considered as part of the luggage allowance. This advantage is not extended to oneworld holders. Bicycles Please fold down the handlebars, remove the pedals, take the air out of the wheels and pack it in one of the special boxes we will provide you with. Iberia has a packing container measuring 131+72+21 cm in many airports. The price of this container is 20 Euros per unit. This container will be issued at the customer's request or at the requirement of the agents in cases of irregularities (except, e.g., in Berlin and Dusseldorf airports). If the bicycle being checked in is bigger than the container provided by IBERIA, the passenger will be responsible for finding another one that is the right size. For short-haul and medium-haul flights, a single fee of 45 Euro applies, regardless of the luggage allowance. Totally dependent on the airline's rules, and how generous/busy the check-in desk is at the time you arrive. You're doing the right thing by organising first. You can pay an excess weight fee to get a bit more weight, but not generally size. Your ticket will say how many bags you're allowed. If it can't fit those requirements, then you're shipping a regular bicycle or sports equipment. Here's what Air New Zealand do, as of Jan 2018. Bikes MUST be packaged in a bike box, a bike bag, or regular luggage. You can buy an "excess baggage charge" to go to 32 kilos (70 pounds) and no one dimension may be more than 1 metre. Pricing starts at $60+GST for bag1, plus $100+GST for bag2, then plus $150+GST for bag3 for national flights, or $150/$200/$300 for flights to/from the USA. These costs are "per leg" so any stopover generates a fresh charge for the second leg. Regional services may have smaller limits. If your package is still too big, its possible to send by cargo, but it likely won't go on the same aircraft as your seat, and you may have to go pick it up at a hanger elsewhere on the airport site. Number of checked bags permitted varies with the ticket purchased. Some tickets include 0 checked bags and are carry-on only, right through to 3 checked bags. Depends on the airline. Some charge more if they know it’s a bike; some waive oversize or overweight fees if they know. Some, like WestJet, will treat it more gently and make good any damage if they know. Some, like StarPeru, may do severe damage and “By telling us it was a bicycle, you absolved us of any responsibility.” I don’t (yet) have any experience with Iberia, other than noting their rules description makes it obvious they haven’t considered folding bikes. UPDATE: The original question was (hopefully) answerable, about a specific airline. As edited, it impossibly asks for all the policies and practices of all airlines (more than 125 of them). I did finally get someone I could understand from Iberia on the phone. She said there will be NO extra charge, but I am not confident she fully understood my repeated statements of the dimensions and weight. Oh, well, I've got the ticket and if I get charged extra, C’est la vie. Not the answer you're looking for? Browse other questions tagged folding-bicycle transportation luggage brompton or ask your own question. Replace Brompton folding pedal - what tool is needed? Can I use a Brompton bike with a trailer like the Thule Chariot Cougar?